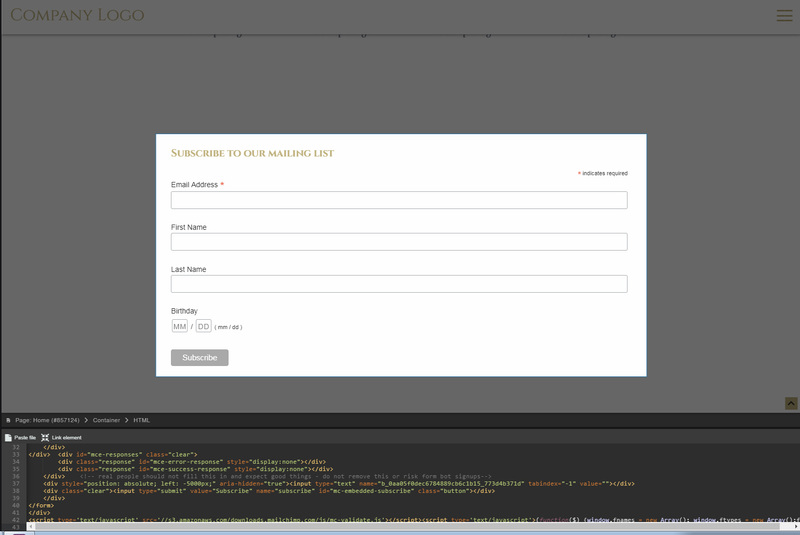 Using our integration for third party code you can also include your forms via Mailchimp. 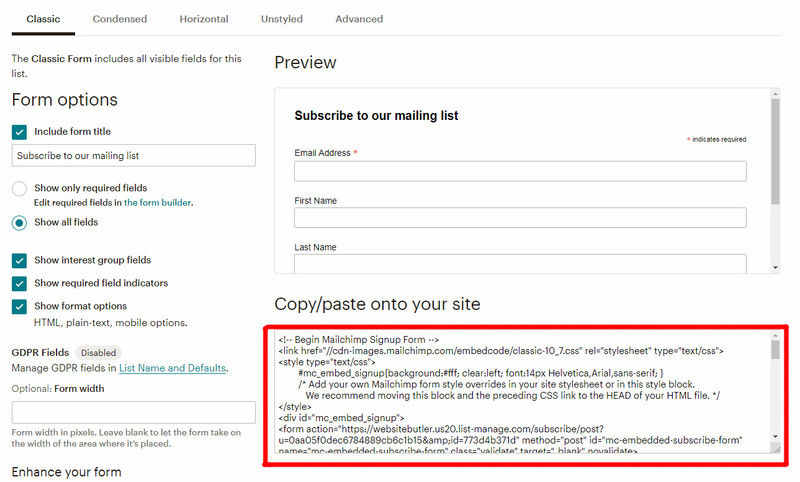 Before you can embed your form in Sitejet you will need to build it on MailChimp. Use the Form Builder to create your form. It offers you four design options, settings for legal texts, forms adapting to your CSS, SSL support and reCAPTCHAs. And most importantly an embed code for third party integration. Which is what you will need to generate. After you've created your form go to the Lists page and click the dropdown to find Signup forms. From there select Embedded forms. You can choose a type that you like and customize your form options. When everything is set, all that is left is to highlight and copy the embed code. If you want to include the form into a new section you might want to add a new container first, so your form will not take the entire width of the screen. Use Add Element > Container to create a container (1) and adjust its content's width and vertical padding (2). Use Create Element > HTML inside your newly added container to include the an HTML element. 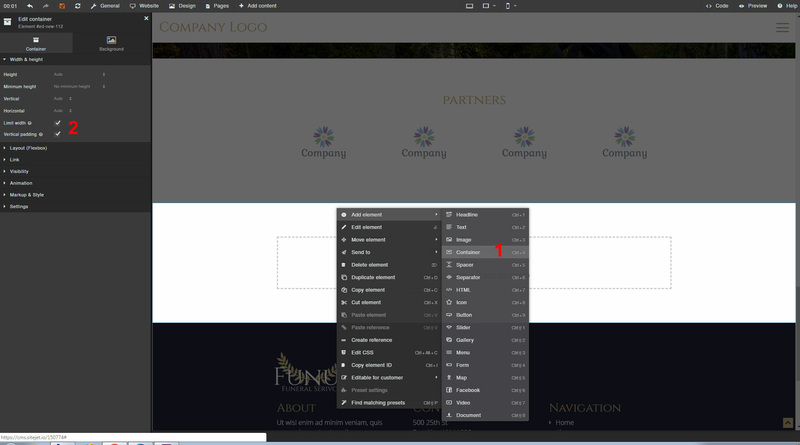 Now simply paste the code inside the HTML box at the bottom and your form will already appear inside the canvas.